Purple Dog Solutions has recorded a turnover of £500,000 in its first full year in operation as an events agency. Over the past 12 months the agency has added to its client base, now spanning a wide range of sectors including consumer electronics, automotive, manufacturing and aggregates, and recruitment. After a year spent delivering launches, incentives and international conferences, director Chris Clarke said it had been a ‘good start’ and that he expected a higher turnover and profit next year. 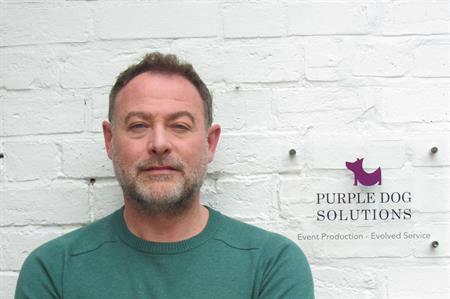 Clarke, who has previously worked for AddingValue, P&MM and Worldspan, started Purple Dog Solutions to create ‘a trusted and faithful agency with a fun and creative working environment’. "After years as a big fish in a big pond at some of the UK’s largest agencies, it was only a matter of time before the politics and bureaucracy of a larger agency life took its toll on me. I genuinely believe that small can also be a powerful and beautiful force for good in our industry. We live in a precarious business world, but with a year’s outgoings in the bank, a very exciting and growing portfolio of upcoming events, I have never felt so relaxed, happy and at peace with this fabulous industry."